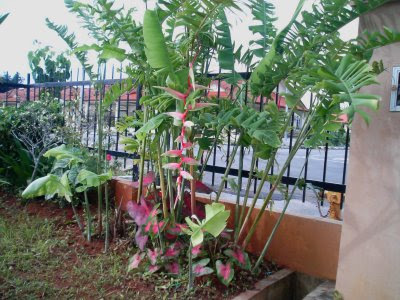 practical Malaysian garden landscaping (Laman Kambatik) in Sarawak, Borneo. The heliconi sassy pink are doing fine and so is the lower storey of colourful caladiums. 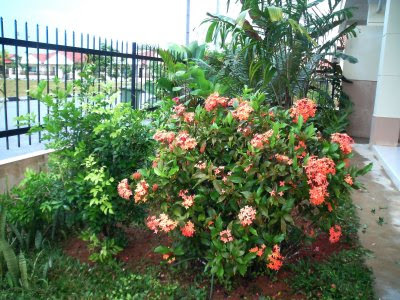 The orange ixoras are in their best blooms. 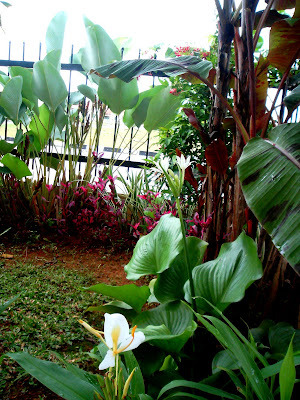 I notice that the other plants in the background are taller . 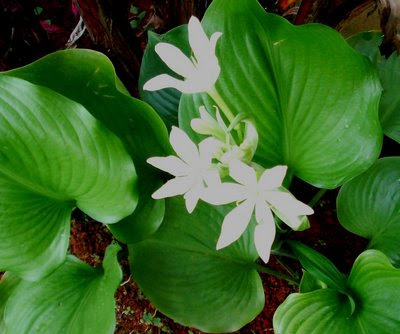 The white ginger lily flowers well together with the 'sepenuh' flowers and the drunken sailor blooms in the far background( partly seen). 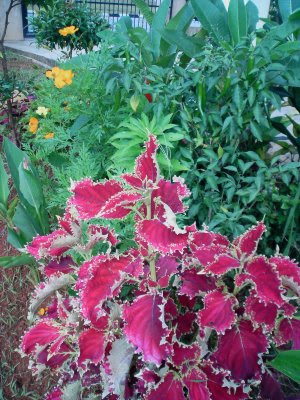 A collection of coleus ( solenostemon scutellarioides) are doing well. 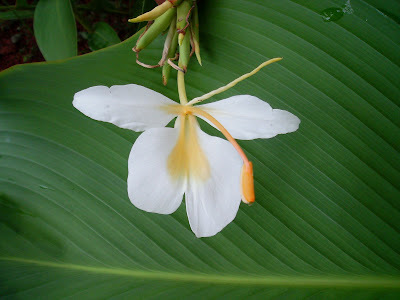 These were planted in October. Another variety of the coleus plant. 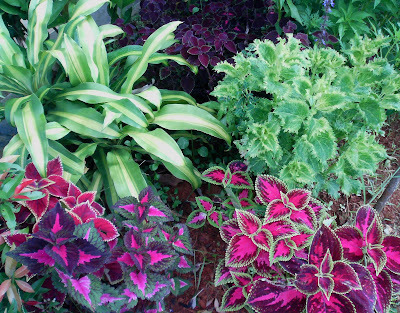 The coleus collection are planted on the side garden area.